Tutankhamun is one of the world’s best known Pharaoh for many reasons. He was only around nine years old when he ascended to the throne and is known globally as the ‘Boy King’ due to his young age. After reigning for around ten years, his death at the age of 19 saw him buried in a golden casket complete with solid gold burial mask, as Gods at the time were thought to have skin of gold. His death mask is now one of the best known and most popular works of art in the world. Set with the finest of gemstones, this was discovered in almost pristine condition in 1922. Lot 105 in The Jewellery Auction on 7 April is a miniature version of this mask. 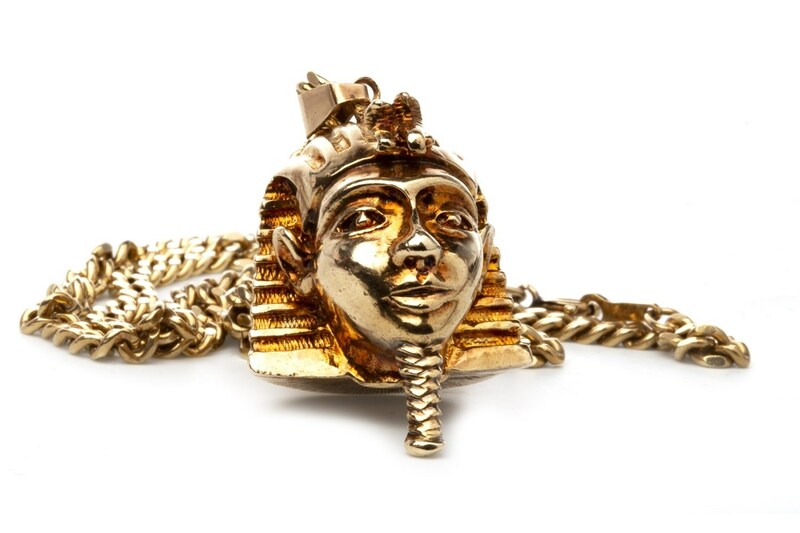 Modelled in the round, the Tutankhamun pendant is 32mm high and is estimated at £400-£600. The curse of the pharaohs is said to damn anybody who disturbs the mummy of an Ancient Egyptian, especially a pharaoh, bringing bad luck and even death. Perhaps wearing a Tutankhamun pendant will protect you against any Ancient Egyptian curses should you decide to disturb a mummy! McTear’s sells more jewellery than any other traditional auction house in the dedicated jewellery auctions that take place twice monthly, run concurrently live online on a platform that attracts six million visitors annually from over 120 countries worldwide. Find out what your items are worth by completing our short valuation form - it's free! Sign up for our free newsletters - we'll never pass your details on to third parties.